There are a lot of changes going on in the world of wireless networking in healthcare organizations. Trends like BYOD for clinicians as well as for patients are on the rise. With the plethora of medical apps and increasingly “smarter” gadgets like smartphones and tablets, healthcare professionals now expect the use of personal mobile devices on hospital wireless networks. In this increasingly wireless world, patients and visitors expect to have Wi-Fi available to them as well. These needs will only continue to increase. Due to these demands, hospitals everywhere are feeling an unrelenting pressure to implement BYOD solutions, upgrade their wireless network infrastructure, and address security issues. Entersays conducted a study on the current state of wireless networks in healthcare. They surveyed leading healthcare organizations on things like how they plan to support biomedical devices and BYOD while still keeping their hospital wireless network secure. 32% of respondents are not happy with their hospital’s current Wi-Fi solution. 54% of those surveyed said they upgrade their hospital wireless network every three years. 37% of respondents said they are not happy with the coverage of their current Wi-Fi. 71% of hospitals in North America have biomedical devices accessing the clinical Wi-Fi. 37% worldwide do. 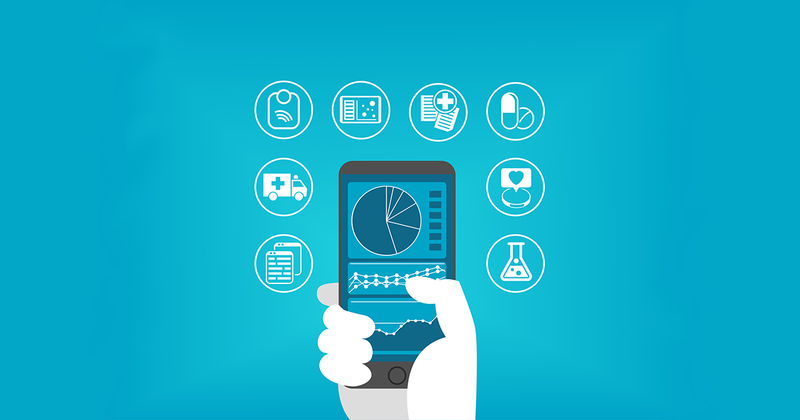 88% of all hospitals are currently using mobile EHR applications. 32% of respondents are not using technology to enforce BYOD policy on the Wi-Fi. 30% of respondents are not utilizing Wi-Fi for patient/guest access. 78% of hospitals are allowing at least some physicians to utilize personal mobile devices at the point of care. 82% of hospitals in North America are allowing mobile EHR access on physician-owned devices. 28% of hospitals replied their caregivers are utilizing social media for clinical use. There’s a lot going on in world of hospital wireless networking. There is definitely a lot of discussion and concern about wireless, which is not going to go away. Hospital IT staff and administrators can’t just turn their head and look the other way when it comes to addressing the new mobility requirements of today’s healthcare systems. All these great gadgets will only continue to get more advanced and multiply in the years to come. These “trends” like BYOD are no longer trends, they are here to stay and are going to challenge even the best IT administrator. If your healthcare system is ready to upgrade your current hospital wireless network infrastructure to support the growing needs for mobile device use in healthcare we are here to help. The team here at SecurEdge has worked with many hospitals and is experts in working with large wireless networks systems like these. If you have any questions or would like a free consultation you may contact us. We are always happy to help!